3 more equals DeRo at 104. The hat trick yesterday puts 108 more within reach. Barring injury, he should cruise into 5th place rather easily next season. 1 more goal would also make him the first ever 3-time 20 goal scorer in league history. Is it in doubt any longer? One or two trophies this season and no complaints from me about the crown. Well, 1 out of 2 ain't bad. At the end of this season BWP is the 8th all time leading scorer in MLS. 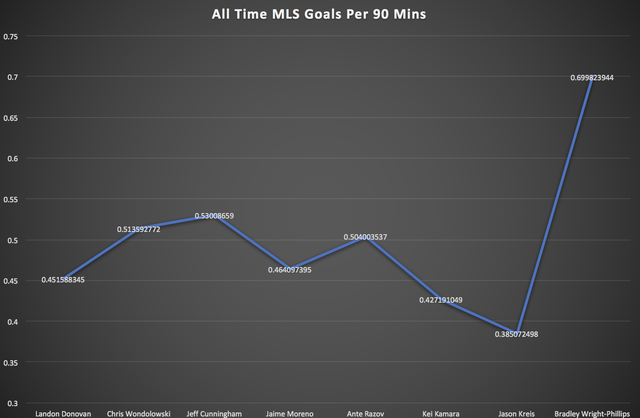 His goals per game and goals per 90 are top by a very large margin, no one is even close. If you take his 2017 and 2018 seasons and estimate his 2019 production he will be 5th all time behind the leader by 20 goals making it possible for him to be all time goalscorer in MLS by the end of the 2020 season. Here are some visuals, his g/Game and g/90 stat are insane. 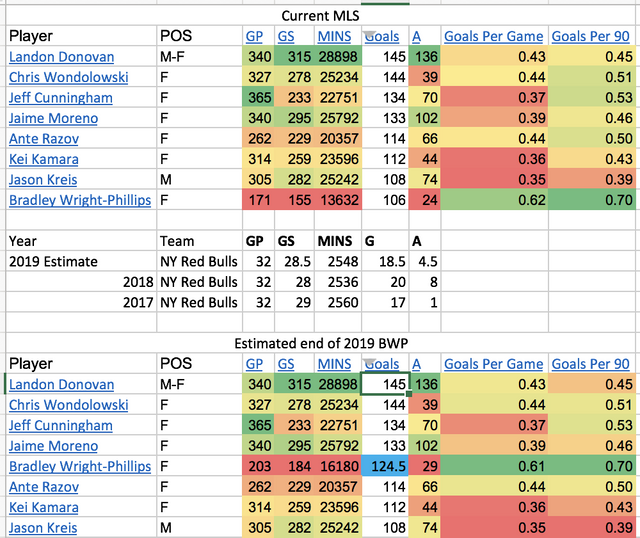 BWP only needs 9 goals to rank 5th all-time.